Jon spotted this fabulous Frank Lloyd Wright house for sale on apartmenttherapy and I'm totally smitten. I've got a little FLW obsession, so I'm always on the lookout for a new house to tour! Jon leans over to check to see if the amount of liquid he's measuring is correct...perfect time to jump on his back to rest! Well, my spring break is officially over. Now, it's back to schoolwork. I've enjoyed the time off from studying during this marathon crafting week! I've had a productive week making the Mod Quilt along top, the Preppy Quilt top, the Flock of Triangles quilt top, the Bubble Stitch Bag, the Lizzie Dish table runner and this new scarf. I guess I actually make things when I'm not thinking about shopping or shopping...who would have thought? I bought this yarn (Louisa Harding Grace Hand Dyed:Damson) because I liked using it so much for this Habitat Hat. At first I thought I was going to make a Foliage Hat, but I was all thumbs when I tried to start knitting in the round on dpns using only 3 or 4 cast on stitches. Then, I tried making the chunky cable hat pattern. Even though I doubled the yarn, my gauge was completely off and I made a baby-sized hat. Then along came Joanna's new pattern, Morning Snack Scarf. I had a really hard time separating my yarn without knots after winding it doubled into a ball for the cabled hat. So, I worked with what I had and made a few modifications to the pattern. Instead of casting on 21 stitches and using a #8 needle, I cast on 15 stitches and used a #13 needle. The finished scarf is about 50" long and is a great spring/fall scarf. I liked the first table runner that I made for Cami so much, that I decided to use the extra fabric that I had to make a second one for our kitchen table. I have a little fiestaware pitcher addition, so I had the perfect color to match the runner. We've had the same table runner and candles on our table for 3 years now, so it was time for a little switch up around here. Here's another project that I've had sitting in my craft closet for the last three months. I purchased this fabric and it's been cut into triangles waiting to be sewn into this quilt top. I used my favorite and most used craft book, Denyse Schmidt Quilts, to make this. Previously I've made What a Bunch of Squares, Any Way you Slice it, A Day at the Beach, Big Zig, and the Hold Me Close Heating Pad Cover. This book was the best $19.95 I've ever spent! This is the Flock of Triangles Quilt top from her book. The fabric is the Free Spirit Jay McCarroll Garden Friends collection. The crazy bugs and little fruit drawings totally crack me up. I sewed and pressed and sewed all of these triangles together while listening to Belle and Sebastian's Dear Catastrophe Waitress album on repeat, and I cannot think of a better musical match for this fabric. I had no idea what size this quilt was going to be when I started. I just cut triangles out of the 5 different half yard prints I had from the collection and then cut an equal number of triangles from my white fabric. The quilt is about 70 x 70 and consists of 21 rows of triangles each with 10 white triangles, 9 patterned triangles and 2 half patterned triangles. It's a lot larger than I had anticipated and is almost the right size for a full size bed. I came across this pattern in one of my many hours spent browsing the pattern galleries on ravelry. I was immediately drawn to the colors in the yarn, so I purchased both the pattern and identical yarn to begin this project. I really liked working with Noro Kureyon. The colors are beautiful and the yarn is nice and sturdy. The yarn is so rough that it actually starts felting together once it is knit. I had to rip the yarn apart when it came to do the bubble stitch, but it was nice to know that it wasn't going to fall apart if I accidentally dropped a stitch. And, working with self striping yarn is always exciting because you never know what color is going to come out of the ball next. This bag came together a bit strange. I accidentally knit one extra repeat on the first side, so when I started casting off on the second side, I realized that the bag was 12 rows shorter. Rather than frogging my work, I brought the bag to my sewing machine, used the fake serging feature to sew a new bottom edge and then trimmed off the extra rows (yeah, I know I shouldn't have done this, but I just don't have the patience to rip out my work). So, the bag is not perfectly constructed, but it should work just fine as a handbag and that's all that matters. It's a cute, fun little knit that came together fairly quickly. I finished it off by lining it with some pink fabric. Happy anniversary to my fabulous husband! Three years and counting! I started this quilt top back in January after going on a little fabric shopping binge. It's been sitting in my closet waiting for two sides of turquoise strips to be sewn to the blocks since then. I bought this pack of 5 half-yard prints from the Erin McMorris line. I think this type of quilt is a great way to showcase favorite prints from a certain line of fabric, while making something substantial. I'm call this my preppy quilt, because it's in the style that Melissa so often uses for her cute little baby quilts. The blocks on this quilt are 11" square (11.5" before seaming) and the sashing is 3.5" wide (4" before seaming). This quilt is about 64" x 79". It will be a great lap quilt for lounging around the house. I think I want to use a hot pink for the backing and a lime green for the binding. It's spring break next week for school, so I'm planning on using my extra free time to work on some quilt tops that have been sitting in my closet for a few months. But, before I get to those older projects, I wanted to work on my new quilt project. Today I finished the Mod Sampler Quilt Along quilt top. I cut everything out last night and spent this afternoon sewing the blocks and finishing the top. I'm so excited that I was able to make this entire top out of my fabric stash! I think I'll have to wait until my shopping hiatus is over in order to finish the back of this quilt. I just don't have a lot of big pieces of fabric in my stash that will work for the back. This shopping hiatus is definitely teaching me to use what I have and be satisfied with what I already have. I've been trying to use up my extra bobbins and thread and have saved a lot of money by not buying new matching thread to quilt blocks. It's really nice to empty some spots on my thread holder and empty out some bobbins. I've been a little slacker in the sewing/quilting department lately. Oh Fransson's quilt along came along at just the right time! I've given up shopping for Lent, oh horror of horrors. Don't worry, I'm still allowing myself to go grocery shopping (but, no magazines at the checkout stand). It has actually been a pretty freeing thing to abandon shopping for 40 days. I spend way too much time thinking about shopping, browsing online, arguing with my conscience over whether or not to stop at a store on the way home, and, well, you get the idea. Because I'm on a shopping freeze, I pulled out my fabric stash and found a mix of fabrics that will work with the quilt. I'm not going the light/dark route as recommended, so I hope this quilt will turn out to be a little flowery and a little vintage-y. The fabrics are mostly from my visit to Japan (lots of Lecien and Quilt Gate fabric), with a few vintage reproductions thrown in for good measure. Although I've been following Elizabeth's blog for quite a while, I just now realized how many great tutorials and patterns she has on her site and how thorough and well photographed her tutorial pdfs are. 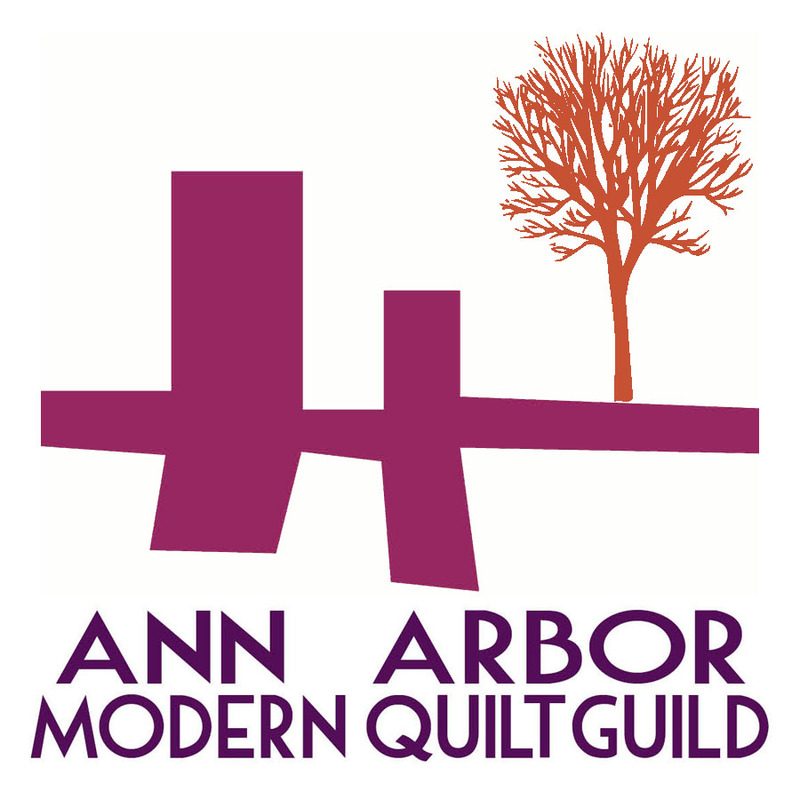 If you're a new sewer or quilter or just want to pick up some new skills, her site is excellent! Oops! I didn't mean to go so long without a post. I actually had to remember my password to sign into typepad this time. I've been busy lately mostly with school responsibilities but also with this sweater WIP. Thank goodness I live in Michigan and still have a good 2-3 months to wear this wool sweater this winter (ahem!). I started on January 30 and finished this afternoon (the hood and bands aren't blocked yet, but I couldn't wait to post pics). Mods: Lengthened the body from 14" to 15", lengthened the cables from 10 rows to 12 rows between, used an i-cord bind off for the button bands. I will eventually get around to sewing in a zipper on the button band. Comments: I always thought Cascade 220 was too itchy, but it REALLY softens up after washing. I will definitely be using this yarn again. Picking up stitches for the button band and hood was killer, but I'm getting much faster with all this practice. This was a quick sweater to make. I really only worked on it during weekends, so it's definitely doable in less than a month.